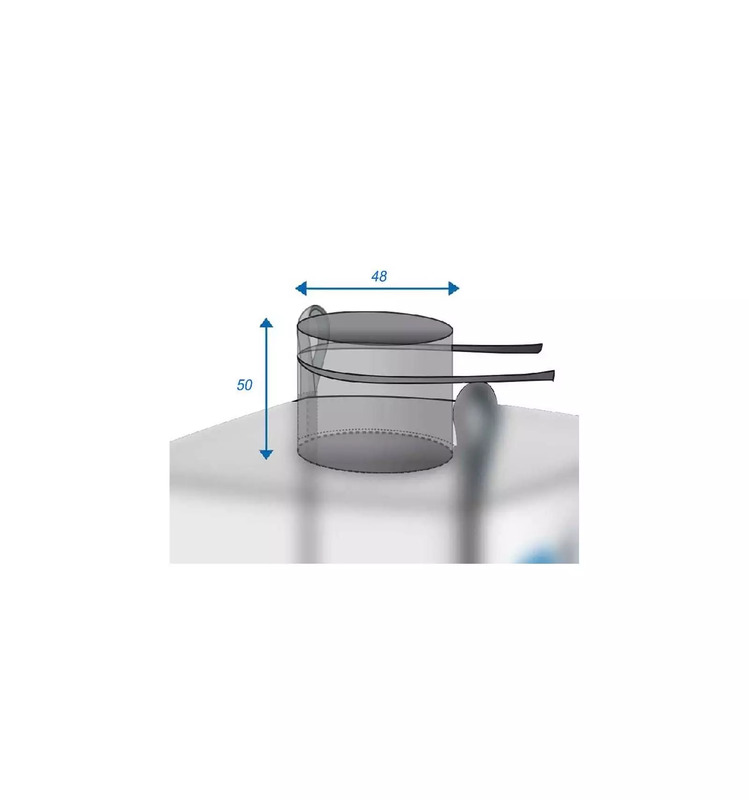 It has 4 décroisées Loops, a Filling Spout 48x50 and a Flat Closed Bottom . The safety weight load (SWL) must not exceed 1250kg. Canvas is in white color (without mark or logos). 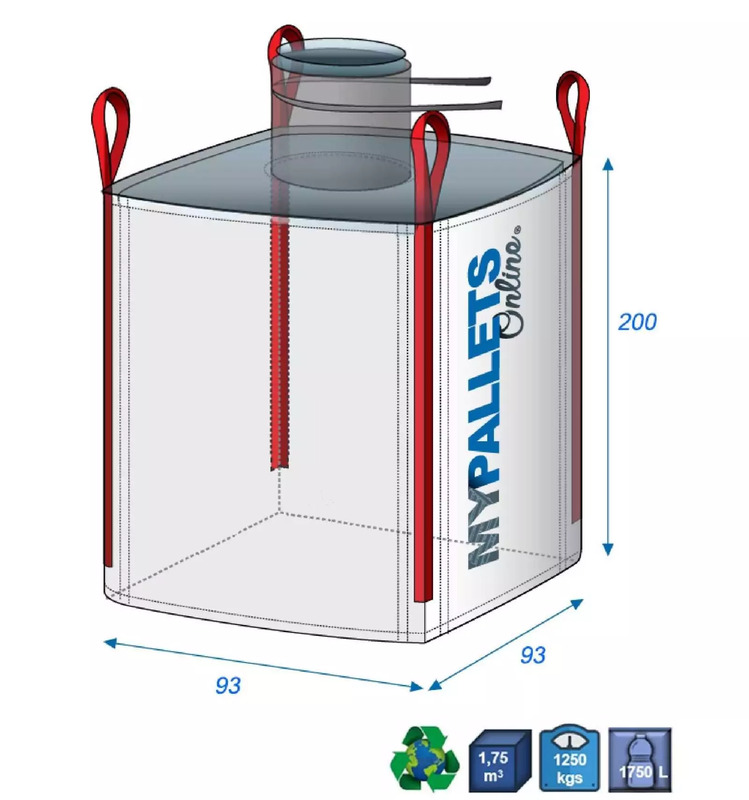 Empty bags, base of 93 X 93 (cm), can be stored outside even for a long period if they are duly protected against weather (rains, Hail, Sun ray, etc.) However, we advise to store your bags inside and protected against ultraviolet. UV can reduce and alter main properties like the resistance. With 4 décroisées loops, you can manipulate them with a forklift by putting forks in the loops. Once loaded, you can handle them placed on right dimensions pallet For example, a bag placed onto a pallet can be stored on a rack directly. Carrying by hand, we advise to wear adapted gloves. A U-Panel bag is a bag produced from a square or rectangular canvas (Flat Closed Bottom in thid case) where 4 panels are sewn on each side. Then Panels are sewn in right angles forming a U allowing to charge it safely. 4 Crossed loops are added on the top directly on the angle or each side sewn on canvas panels.